We all want the best for our cats and try to keep them safe and well. 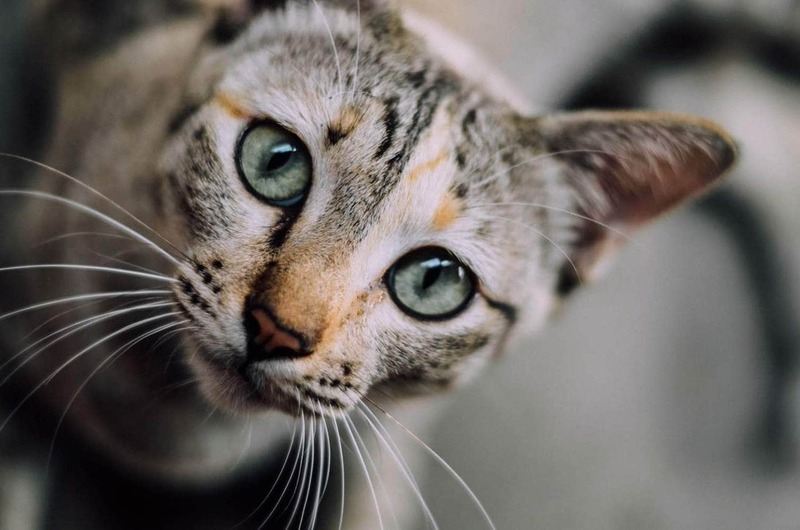 Many common cleaning products contain chemicals which are potentially harmful to cats (as well as humans), and where possible, limiting exposure is preferred. 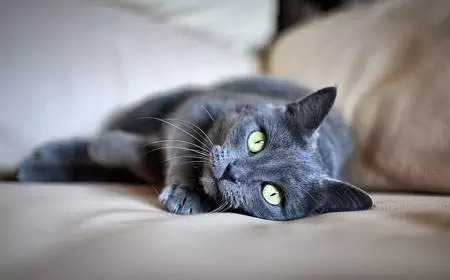 Exposure can occur via inhalation, ingestion when the cat grooms or drinks from an open toilet or sink and direct contact with the skin which can potentially cause irritation to the skin. Many common household products listed in this article are effective to clean with, cheap and best of all, safe to use around cats. It must be said however that not all natural products are safe to use around cats, in-fact many natural products can be just as toxic as man-made chemical cleaning products. One such natural ingredient is the humble essential oil, which is made up of concentrated volatile aroma compounds obtained from plants. Some are safe in very low doses, others can not be used at all. Note: Most essential oils are toxic to cats, use with caution (basil and jasmine are safe, in low concentrations) and only in well-ventilated areas and never apply to the skin. Add ingredients to a spray bottle and shake well. Plain white vinegar can be used to clean and bring out the shine in kitchen benches and bathroom vanities. Spray onto the surface and wipe down with a paper towel or microfibre cloth. Add all ingredients to a plastic spray bottle, shake well. Spray on granite or marble benches and wipe off with paper towel or microfibre cloth. Caution: Do not use white vinegar on marble or granite benchtops. Add white vinegar to the water, wait for 5 minutes. Add bicarbonate of soda to the bowl, when you do this, it will fizz up. Allow the vinegar, bicarb mix to sit for half an hour. Scrub with a toilet brush. Spray with white vinegar, wipe clean with a paper towel or used rag. Place bicarbonate of soda and citric acid into a bowl. Mix together the hydrogen peroxide, white vinegar, and essential oil. Slowly (drop by drop) add the liquid mixture to the dry mixture. Using a teaspoon or a melon ball spoon, make small rounds, place on a baking tray covered in baking paper. Spritz with white vinegar to form a crust. Leave to set for 12 hours. Store in an airtight container in a dry cupboard. Place one bomb in the toilet to clean. Spray with white vinegar, wipe with paper towel or used newspaper. Mix together ingredients, and mop. Spray sink with white vinegar and wipe with a paper towel. Pour bicarbonate of soda down the sink hole, wait for 15 minutes and then pour white vinegar. Wait for 30 minutes and then pour a jug of boiling water down the hole. Place in a spray bottle and shake well. Spray onto affected areas, leave for ten minutes and wipe the area with a damp cloth. Bring a small pan of water to the boil, add salt until the salt is no longer dissolved. Allow the mixture to cool and pour into a plastic bottle. Spray on affected areas, leave for 10-15 minutes. Wipe down with a damp cloth. Pour 3% hydrogen peroxide into a spray bottle. Spray onto affected areas, leave for 10 minutes. Wipe down with a damp cloth. Always use a mask when removing mould. Remove any large unstuck chunks from the oven and take out the racks and soak in warm soapy water. Place bicarbonate of soda into a bowl and add water, mix into a paste. Apply the paste to the oven (avoid the heating elements) with a sponge, close the door and leave overnight. The following morning, spray with white vinegar, leave for ten minutes and scrub the oven with a green scourer and water. A cooktop scraper can also help to remove stubborn stains. I have personally been using white vinegar to clean bathrooms (including tile floor), windows and kitchen benches for several years as it is my preference to avoid the use of commercial cleaning products, especially where food is prepared. It has proven to be cheap and effective. Today I used the white vinegar/bicarbonate of soda recipe to clean my long overdue oven. The results were encouraging, despite the fact I didn’t leave the mixture to sit as long as recommended. The oven isn’t spotless, but it is 80% cleaner than it was. I always struggle with fumes when cleaning the oven, so this was a pleasant experience (as far as oven cleaning goes). A little elbow grease was necessary, as well as a stove top scraper to remove some more stubborn stains. Going forward, I will stick with bicarb of soda and vinegar to clean the oven just to avoid the fumes. I also used bicarb of soda and vinegar to clean the toilet bowl which had water stains. It was left for 15 minutes, and then I used a toilet brush to remove the stains. All in all, I am happy with the results and definitely plan to use more recipes when cleaning. I am not against the use of commercial cleaners but can see the health as well as cost benefits of using many easy to find products in the kitchen. This will be an ongoing article, I am aware isopropyl alcohol and hydrogen peroxide, have a place household cleaning too, I am unsure about the safety of citric acid, so have omitted this for the time being. If you have any cleaning tips, please feel free to share in the comments below. Next articlePhysical Signs a Cat is Dying – What Are The Symptoms? I’m not an American, we spell it mould! Just make sure people with asthma wear a mask when trying any of these recipes out as they could have bad reaction or an attack. But really useful as we are relying and using too many cleaning products now compared to in 50’s 60’s with unhealthy results. Most,not all , are a “version of a theme ” that is similar products with different names. Thank you Teresa Fleetwood. Thanks for the recommendation Teresa, I will update the article to reflect that. Should A Pregnant Woman Get Rid Of Her Cat? Cat Symptoms Checker-What Is Wrong With My Cat?